Now that I’m back, I’m going to try everyone’s patience by posting a really, really long slide show about my exciting family vacation to Copenhagen and Rome. However, it’s all under the fold, so if you’re not interested, just scroll on by. There are basically no pictures of famous sights here. It’s always been a bit pointless to take pictures of this kind of stuff, and these days it’s super duper pointless. Want a picture of the Colosseum? Google will deliver hundreds of top notch photos to your desktop in seconds. Why bother taking your own? 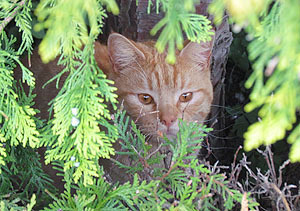 So instead, I took pictures of cats. And pictures of other animals. And a few annoyingly arty pictures of tiny bits of famous sights. Plus a few other things that I felt like including and that gave me an excuse to write about something interesting. Click the link to start. After an uneventful connection at Heathrow, we flew into Copenhagen on Thursday the 17th. This is a picture of the Zealand countryside just south of Kastrup Airport. 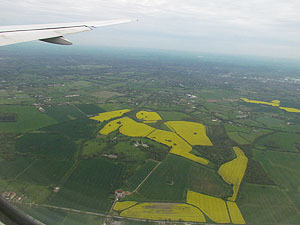 The light splotches are mustard rapeseed fields. The darker splotches are whatever else they grow in Denmark. Wikipedia can probably fill you in on the details. 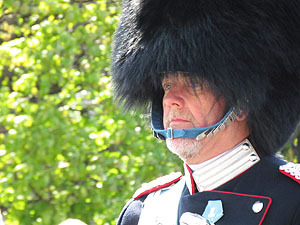 This is the leader of the royal guards, marching toward Amalienborg Palace for the changing of the guard. The Danes have the whole royalty thing down pretty well: keep a bit of the pageantry and glamour around because it’s kind of cool and retains a link to their national history, but keep it modest and don’t take it all too seriously. 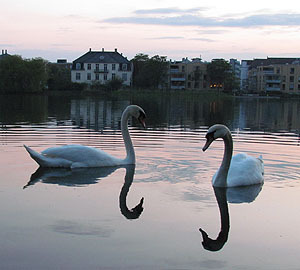 I didn’t see any cats in Copenhagen, so instead here are a pair of swans on one of Copenhagen’s lakes, near the Tycho Brahe Planetarium. 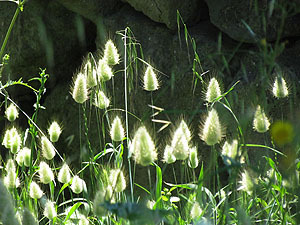 Not as adorable as cats, but they’re pretty things anyway, aren’t they? By the way, are you wondering why I did no blogging during this trip, even though I said I would if time, energy, and Wi-Fi permitted? There’s a story there. But first, some cats. My family lived in Køge, about 20 miles south of Copenhagen, for eight months in 1967 while my parents were researching a biography of Danish film director Carl Dreyer. One of my sister’s friends at the time was a girl named Anni, who now lives on a small farm outside of town. She has three cats. 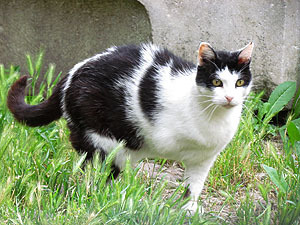 This is the mama cat. This is one of her babies. Anyway, about the lack of blogging. Here’s the story. On May 16th at 5:18 pm, my iPad calendar app beeped to let me know that our flight was leaving in 30 minutes. So I put the iPad down, picked up my duffel, and went to stand in line to board the flight. This is another one of her babies. You already know how this ends, right? An hour into the flight I opened my duffel and there was no iPad. It was sitting on a seat at LAX. Luckily, Marian had the presence of mind to report this to a flight attendant, who had the captain radio all the pertinent information back to Los Angeles. 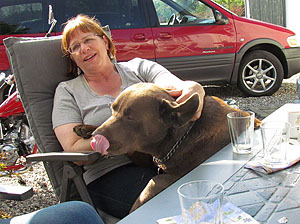 This is Simba, companion to the farm cats and possibly the world’s most sociable dog. That’s my sister buried underneath. Anyway, the iPad story turned out well. They found my iPad and sent me an email a couple of days later telling me where to pick it up when I got back. But in the meantime, no iPad meant no blog posts. And now a short intermission in praise of United Airlines. We all complain a lot about poor service, and in fact I tweeted a nastygram about the teensy seats on our United flight from LA to Heathrow while we were on the tarmac in LA. But when I lost my iPad, United really shined. The flight attendant took down all my information. The captain radioed it all back to LAX. Someone there went out to look for it. The baggage services folks emailed me a couple of days later to tell me they had it, and offered to Fed Ex it to me overnight if I wanted. (I didn’t.) When I got back, they retrieved it for me in seconds. Nice work, United Airlines! You saved me a world of grief. I now return you to our regularly scheduled vacation blogging. On Tuesday we visited friends in Esbønderup, a town in the north part of Zealand. 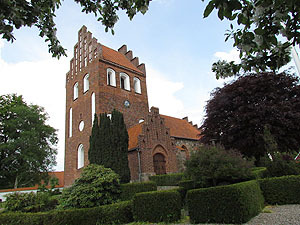 This is their local church, which follows the standard design of nearly all village churches in Denmark. 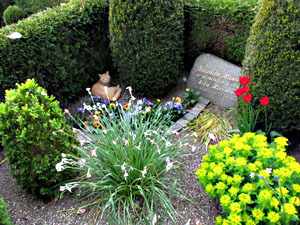 The grave plots in the churchyard are all separated by small hedgerows and are kept up meticulously. It’s really amazingly peaceful and lovely. And as you can see, all that peacefulness and loveliness attracts feline attention. 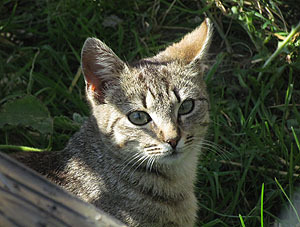 Here’s a closer look at the church cat. 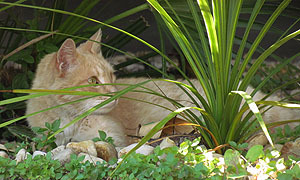 He was too shy of strangers to get close to, but seemed well taken care of and obviously at home among the hedges. 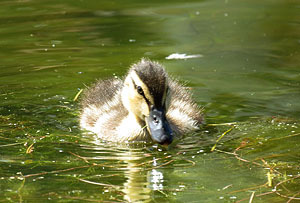 On our final day in Copenhagen we found a pair of ducklings swimming around in the pond at Christiansborg Palace. Mama duck was ignoring them completely. 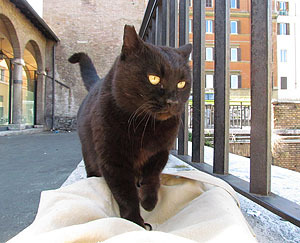 Next stop: Rome, the eternal city, eternally overrun by cats. 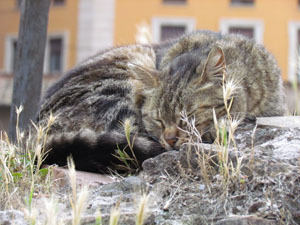 In Rome we stayed at the Pensione Barrett, a small and, um, idiosyncratic hotel overlooking the Largo Argentina, once the site of the old Roman Senate and now the home of the Argentina cat sanctuary. 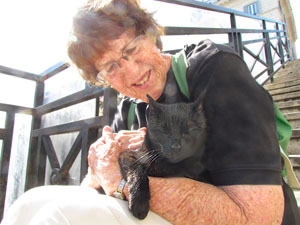 On the left you see my mother, from whom I inherited my love of cats, making friends with one of the resident felines. 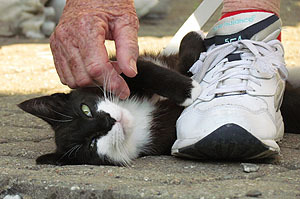 While we’re admiring the Argentina cats, maybe I should get everyone up to date on the great credit card problem that I blogged about before I left. Do dumb American credit cards work in Europe, where they’ve mostly made the switch to smart cards? I don’t have a definitive answer, but I did learn a few things. On our first night in Copenhagen I used my Visa card to pay for dinner. The waiter was flustered for a bit and had to ask someone a question, but eventually he pushed the right buttons and was able to print out a receipt for me to sign. I considered this an ominous sign. The next day I went to the train station to buy tickets to Malmø. I bought them at the counter from a live human being, not a machine, but it didn’t matter. No go on the credit card. However, my debit card worked OK with its shiny new 4-digit PIN code. Would it have worked with its old 6-digit PIN? I’ll never know. At that point I just started using the debit card for everything and it worked fine. When we got to Rome, however, Marian suggested I hadn’t really given the credit card a fair trial, so I started using it regularly. And in Rome, at least, there was no problem. It just worked. Nobody made a peep about it or had any trouble at all. So: based on my limited experience, I’d say that American credit cards are potentially a problem in Denmark, though not impossible to use, and not a problem at all in Italy. American debit cards seem to work fine everywhere. An elevator to the top of the Vittorio Emmanuel monument was installed a few years ago and a friend recommended taking the ride. It was a good recommendation. The view of the entire city really is pretty fabulous. 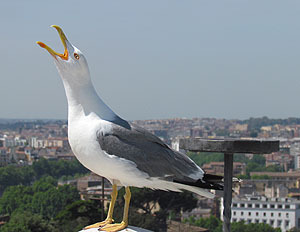 On the left, at the top of the monument, is a seagull squawking, a sound we heard much of while we were in Rome. I know I said there would be no standard sightseeing photos, but if I don’t post at least one, how will you know I was really in Rome at all? This is from the top of the monument and shows the Colosseum in the background. 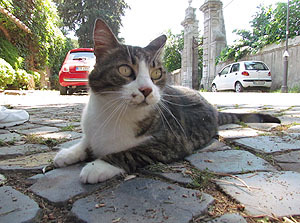 On Sunday we walked out along the Appian Way and met this cat. He was a very friendly, sociable critter. 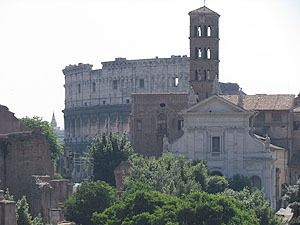 After we finished with the Appian Way, we walked up the Aventine as part of my mother’s quest to visit all seven of the famous seven hills of Rome, and then visited the Baths of Caracalla. 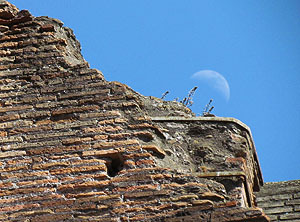 The moon was up, so that’s the picture you get: a tiny sliver of the ruins of the baths with a half moon in the background. 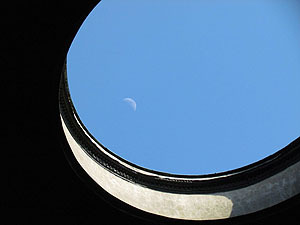 This made me wonder if I could see the moon through the oculus of the Pantheon, so when we got back to the hotel I walked over to take a look. No dice. I walked out, ordered a gelato, and waited a bit. When I went back in, there it was. As always, Google is your friend if you want a more conventional photo. This is from the gift shop in St. Peter’s. 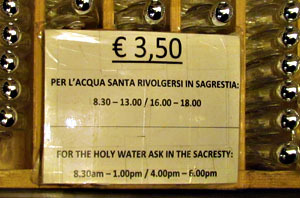 For some reason, I was unaccountably amused at the idea that holy water takes a lunch break. I guess I’m just easily amused sometimes. Ostia Antica may not be as fully preserved as Pompeii, but it’s a short 30-minute train ride from Rome and quite a nice little day trip. Recommended. 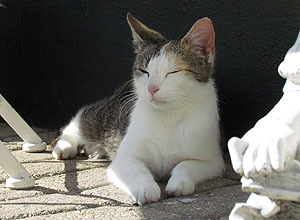 We found this cat near the entrance. 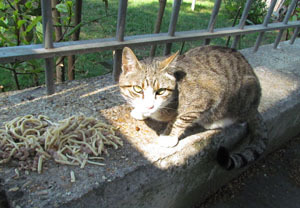 As you can see, in Italy even the cats eat pasta. Red poppies were blooming all over Rome while we were there. 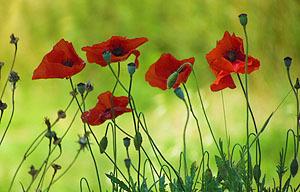 These particular red poppies were blooming in the ruins of Ostia Antica. I took this picture at the Ostiense train station when we returned from Ostia Antica. It earned me a reprimand from a guard. Apparently terrorists must be fond of sizing up transit bombing opportunities by taking pictures of cats in train stations. 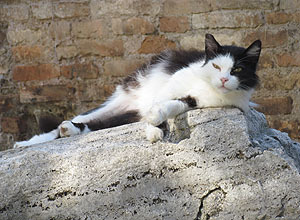 The Protestant Cemetery in Rome is the final resting place of John Keats and Percy Shelley and the current resting place of many, many cats. 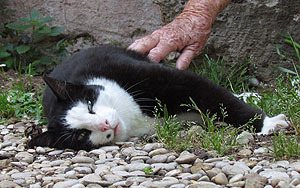 This black-and-white cat was very sociable and occupied my mother for a good long while. 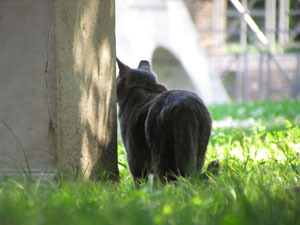 This is a somewhat less sociable cat in the cemetery, peering warily out from behind a gravestone. 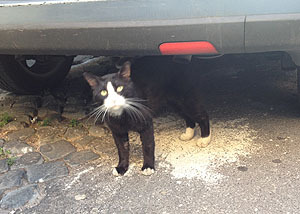 We ate in Trastavere after the visit to Ostia Antica and encountered this cat along the way. As you can see, pictures taken with an iPhone just aren’t as good as pictures taken with a real camera. 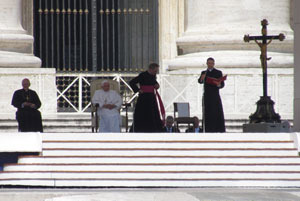 On Wednesday, while waiting to visit the Vatican Museums, the pope appeared. Why? Beats me. Italian TV explained it all later that night, but it was, you know, in Italian. However, I see now that he was there to grouse about coverage of a leaks scandal that I didn’t even know had happened. This is from a window in the Vatican Museums. 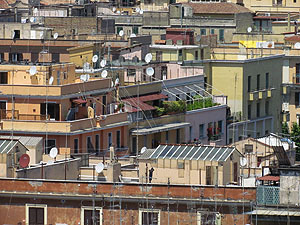 Rome is apparently just a vast collection of dish antennas with a bunch of buildings to support them all. Our flight to Frankfurt sat on the tarmac for an hour after landing due to a massive failure of the Frankfurt Airport’s computer system. However, our connecting flight was delayed by only 15 minutes, so we made it aboard by mere minutes. Then we were delayed for another hour by a medical emergency. In the end, though, we were only a little late. 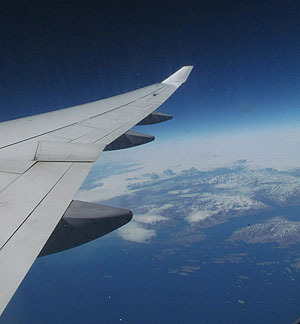 This is the west coast of Greenland from the window of our 747. It’s not nearly as green as the chamber of commerce might like you to believe. So that’s our vacation. With a couple of exceptions, it was all pretty nice and we did everything we planned to do. But here’s a question for the hivemind. One thing that really got to me on this trip was the astounding size of the crowds in Rome. It felt like it was just wall-to-wall humanity, with gigantic tour buses belching out packs of 40 or 50 tourists every couple of minutes. By the end of the week it felt much more oppressive than it did the last time I was there in 2002. Obviously Rome is a crowded city, and it’s not as if it’s been empty the times I’ve been there before. (Though Marian and I were both amused at the almost complete absence of people in Roman Holiday, which we watched before the trip.) So here’s my question. Was I just more sensitive to the crowds this time around? Or have they really gotten worse? If so, why? Is late May a busier season than late September? Was 2002 a light tourist year because it was still shortly after 9/11? Are tour groups more popular than they used to be? Anybody have any ideas about this? 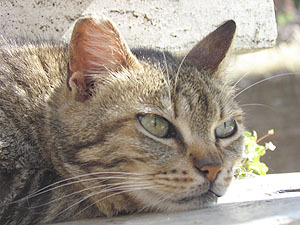 And now, as your reward for reading to the very end, some real catblogging. Thanks to the computer failure in Frankfurt, our luggage decided to take the scenic route home and arrived at our door shortly before midnight on Friday. 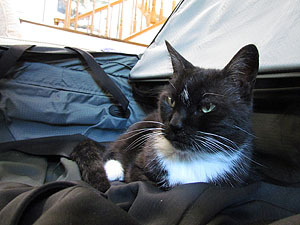 We unpacked Saturday morning, and both suitcases were immediately claimed as snoozing spots. 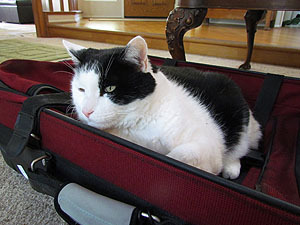 Domino staked out the big gray suitcase and Inkblot settled into the smaller red suitcase. Regular political blogging will recommence on Monday. In the meantime, enjoy the rest of your weekend.